Some times travel can get tiresome and mechanical, especially if it is not done for the joy of traveling – for instance routine corporate travel trips. For a greenhorn the initial few trips are exciting but as time flies the ebullience dies down and the business aspect of travel takes over. This is not to say that such business travel trips are unproductive, on the contrary they are a very important part of the Commerce industry and must be handled with extreme professionalism. Which is why the idea of corporate travel management, is much favoured by corporate clients for their business travel needs. The word ‘Global Village’ has been done to death but is a simple expression that aptly conveys the current scenario. Distances have been vastly humbled, thanks to the popularity and efficacy of air travel and it is this that makes corporate travel easier and faster. 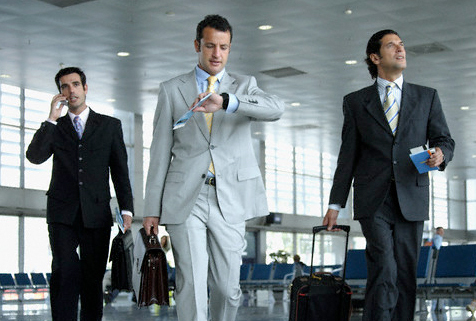 It is a boon nowadays, to have a travel management company handle all the travel needs of a person. It ensures optimum utilization of human resource and greatly reduces wastage of time and energy. A travel management company provides end to end corporate travel solutions for professionals who must stay focused on the task at hand. National and international connectivity is the best we’ve ever had and things are only going to get better in the future. Therefore it is imperative that we move with the times and make use to the current travel management facilities available. The concept and design of business travel is undergoing a sea-change and corporate companies risk the chance of getting anachronistic in this fast changing world if they don’t make use of the latest what this industry has to offer.